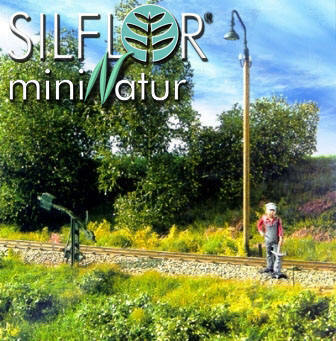 Silflor has truly revolutionized the world of model scenery. For years modelers have struggled with achieving the effects of tall wispy fields, cultivated farmlands, pampas grasses and light delicate tree canopies. Now anyone can easily create these scenes with little skill using the Silflor process. Try some today and discover the scenic talent you thought you never had. Click below to view their introductory video.